There are so many things you can think of when you think of night. I wrote down a list of possibilities when I went to plan my card for this week and came up with a list of 15 ideas. When my kids were younger and it would get dark I would tell them that those were the night clouds. To this day it has become a joke in our house talking about the night clouds. For my Halloween inspired card I knew I needed to feature some black 'night clouds'. I can't wait to see what NIGHT means to you! Love the black ground and clouds - gives it a real spooky feel! Hahaha, night clouds, love it! And it works so well in your card too! Love your bat filler stamp next to the sentiment. Night clouds...love it! 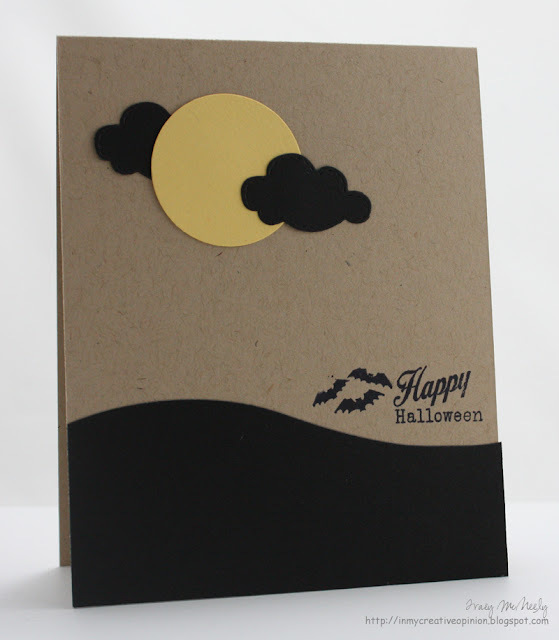 :) I really like the kraft cardstock as the base on this and all the black with a pop of yellow is just perfect! What a great idea-night clouds. This card is perfect. Cute idea to tell the kids about night clouds. Love your simple card! 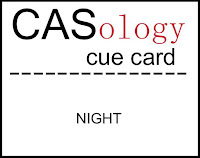 Great take on the cue word, Tracey! Love those "night clouds"! Awww, I just love the story that goes along with your card about the "night clouds" :) I love the "night hill" too! love your night clouds too!! Such a clever card! Love the idea! Love the night clouds! :) Made me smile! Such a great card! love this, tracey! 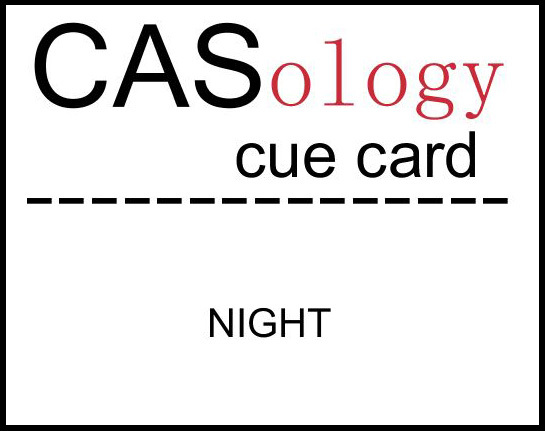 an absolutely fabulous take on the cue word! Love your night clouds ~ great Halloween card! Ooooh, how spooky and fun! Love it, Tracey! 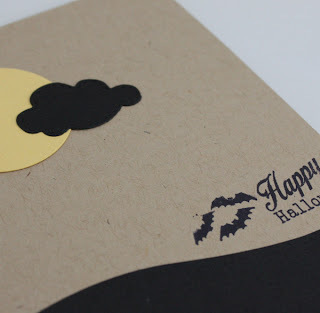 What a fun card...and those black clouds, love the look for Halloween! McTracey, my friend, this card has me entirely speechless. Love the simplicity of this...and it really gets the cue word across nicely! I love your *night* clouds and what they mean to you! Such a great clean and simple card! Thanks so much for having me join the DT this week! I had a great time!